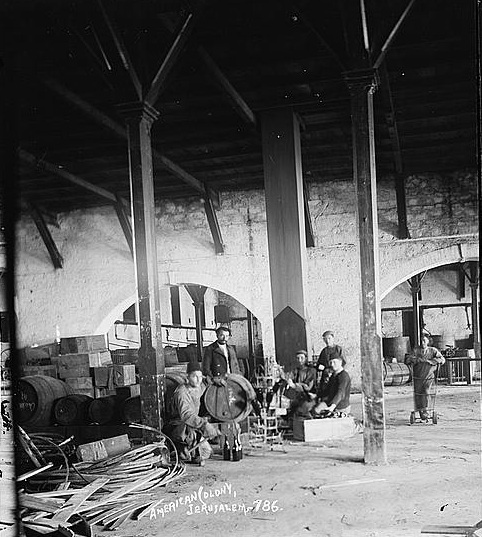 In 1867, young residents of Jerusalem requested assistance from Jews in Europe in order to build outside the Old City walls. "We're not requesting charity," they wrote, "but work. Provide us the land, put in our hands the tools and send us the people who will teach us to work the land." 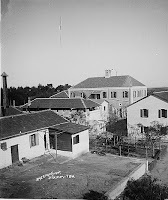 The Mikve Yisrael Agricultural School was the result. 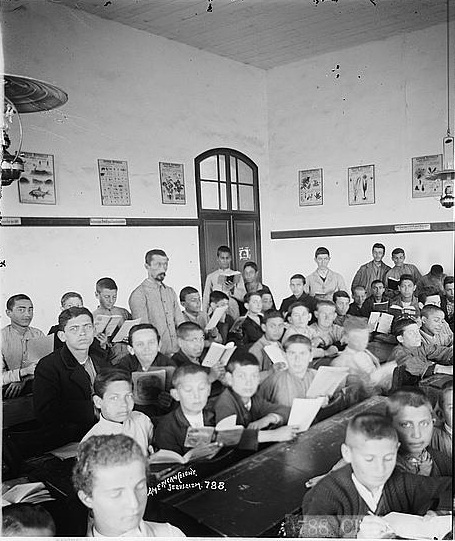 Founded in 1870 by Karl Netter of the French Jewish organization, Alliance Israélite Universelle, the school was allocated 750 acres by Palestine's Ottoman rulers. It was one of the first modern Jewish schools in Eretz Yisrael. 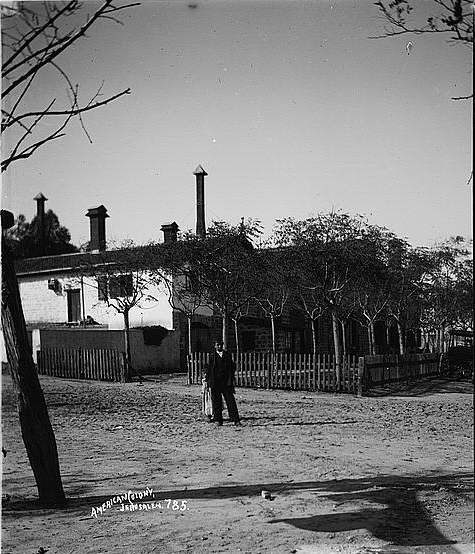 The Library of Congress caption labels the picture on the left as "Boy and shy girl in front of building" in Mikve Yisrael. We decided to draw out the girl from her shyness some 100 years after this picture was taken by enlarging the photo. On the right are the two children, both wearing fezzes. 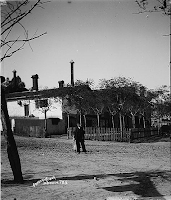 Pictured here (left) is the Mikve Yisrael wine cellar, built in 1883. 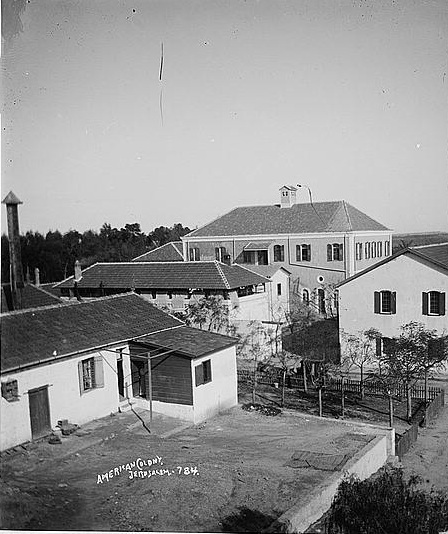 The school was the location of the historic 1898 meeting between Theodore Herzl and the German Emperor, Wilhelm II. 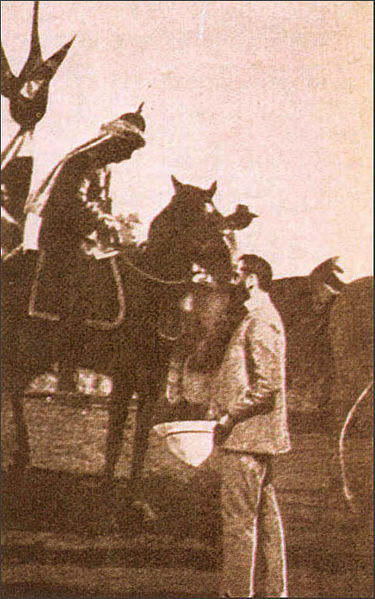 Herzl requested the Emperor intercede with his ally, the Ottoman Sultan, to establish a Jewish state. The famous picture of the meeting, however, is not real. The photographer (apparently not one of the American Colony photographers) "missed the shot" and created a photo montage instead.